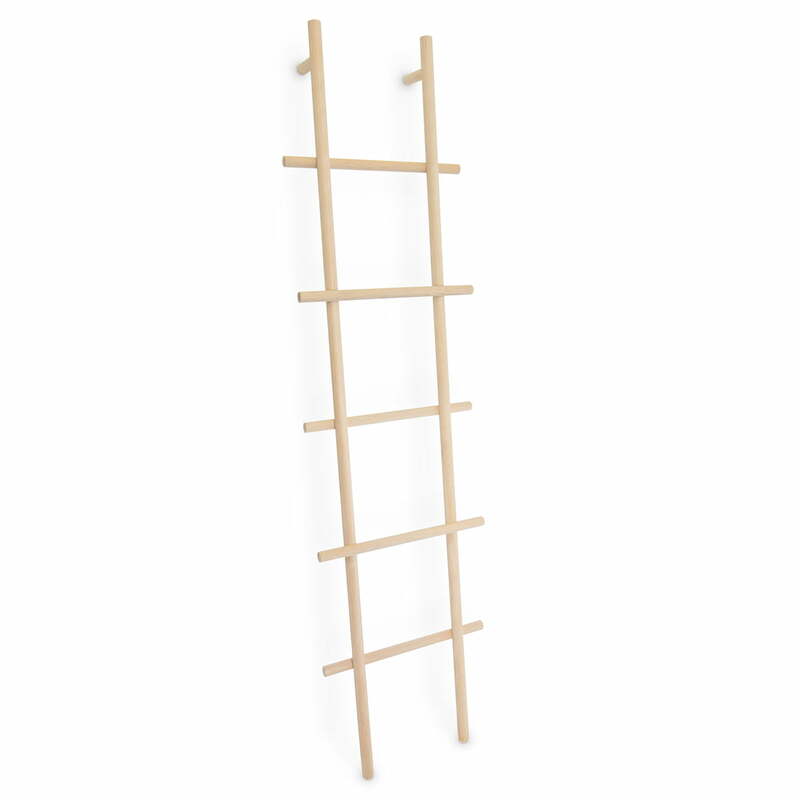 The Loadah storage ladder from kommod is a simple and at the same time highly functional solution as an alternative to the hall stand or towel rack in the corridor, bathroom or bedroom. Simply leaned against the wall, the ladder can hold scarves, towels, etc. on its five rungs without the hassle of assembly. 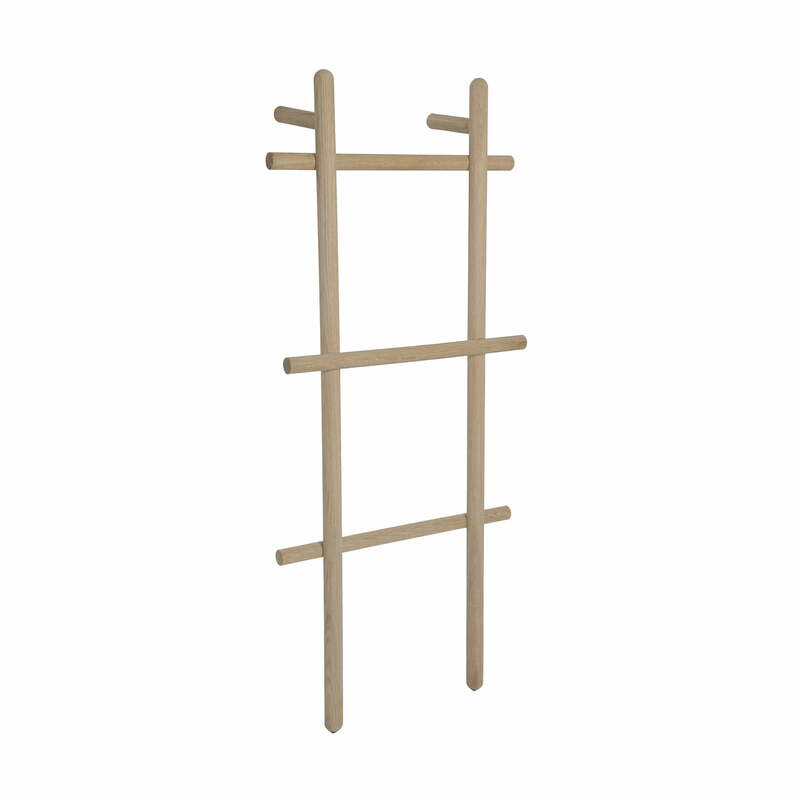 With the help of hooks and hangers (not included), the ladder can also accommodate pots, clothes, jackets and much more. 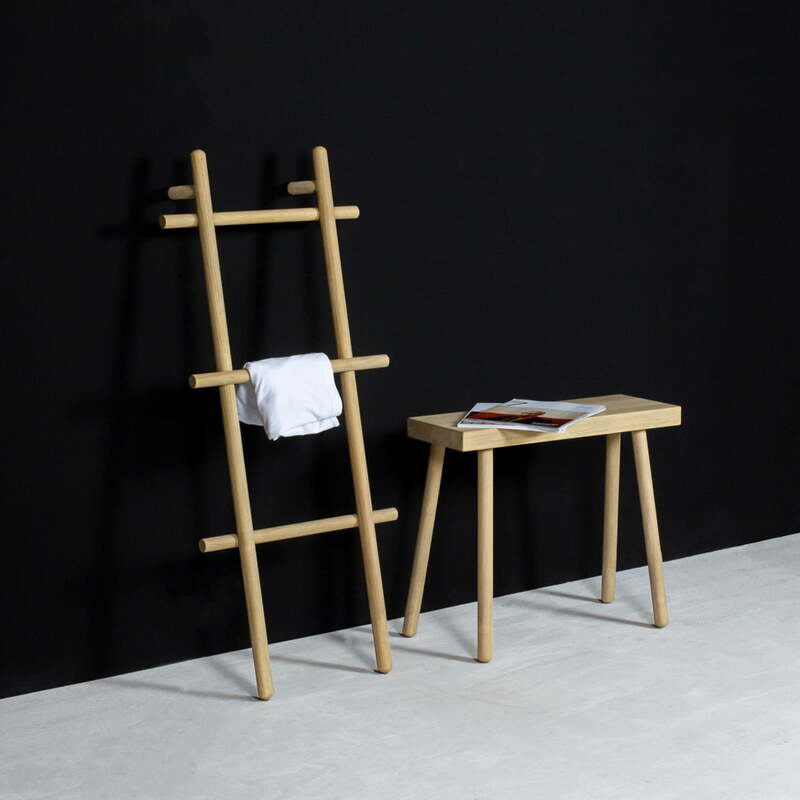 The simple and timeless ladder is made of sustainable solid wood in the Bavarian Forest and is available in various widths. 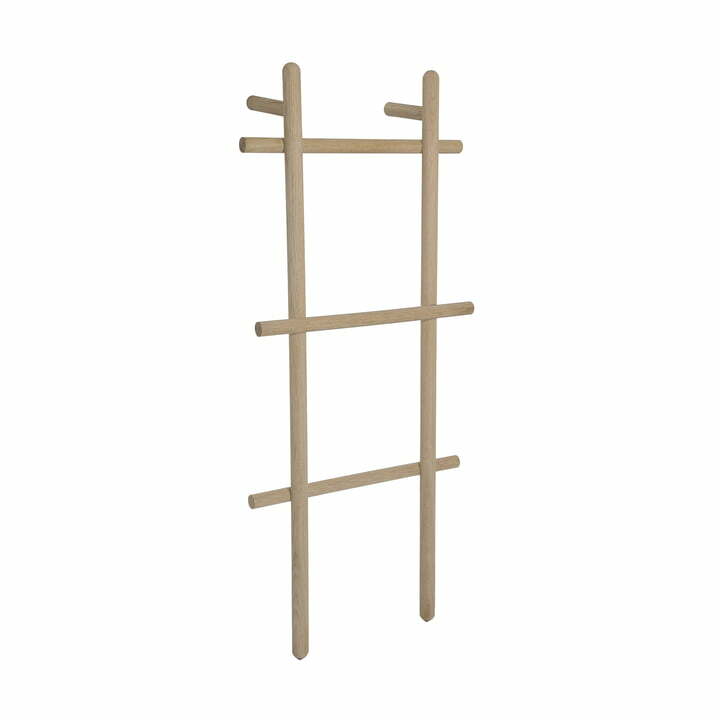 The design deliberately breaks with the tradition of classic ladder rungs - the cross bars with a smaller diameter are mounted once at the back - once at the front. 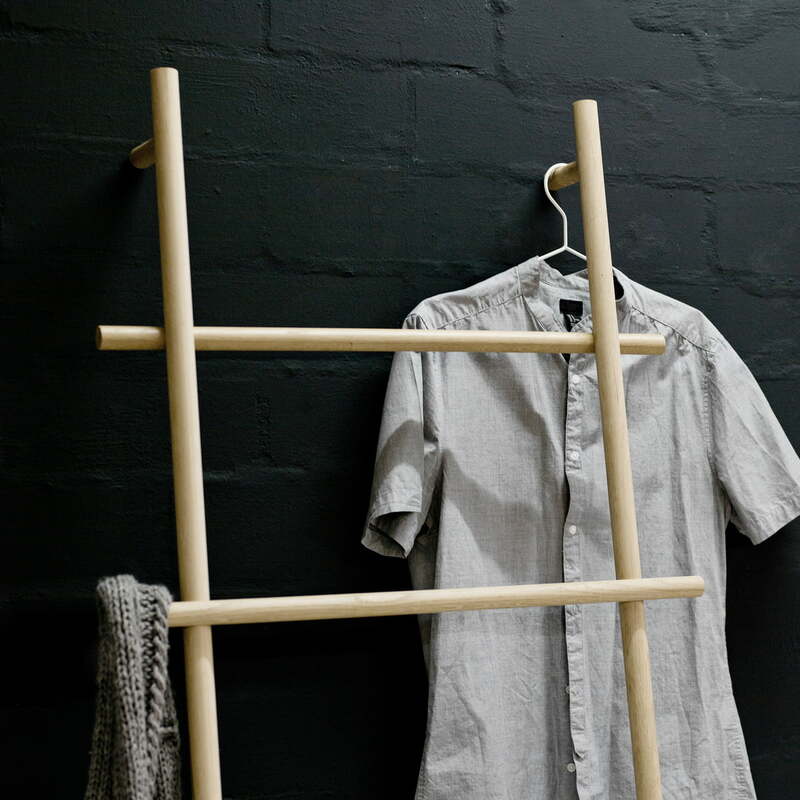 The Bokks box from kommod offers additional storage space, which can be hung from the ladder as an accessory if required. 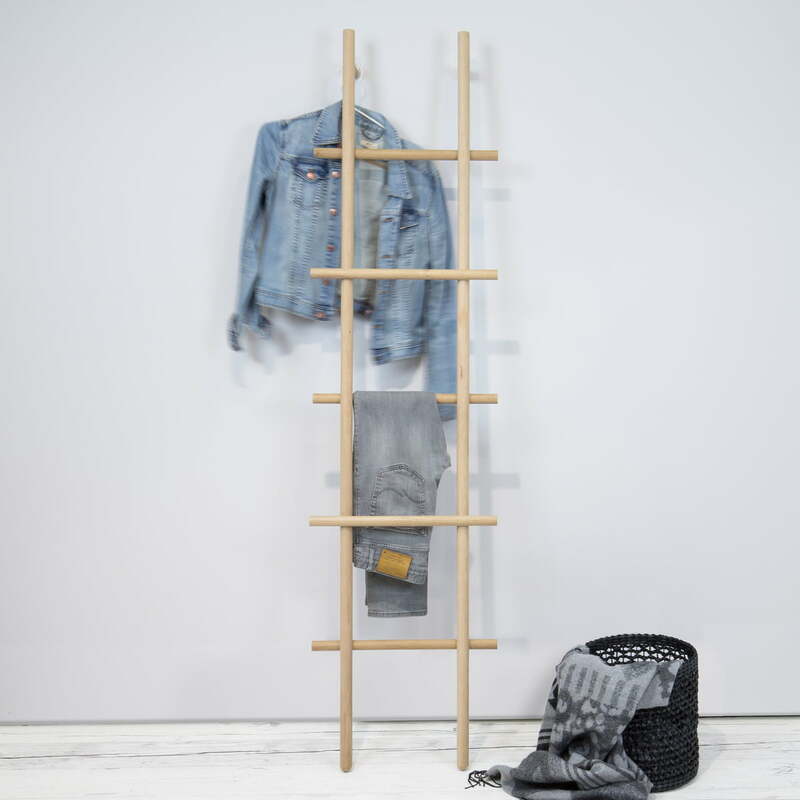 The Loadah storage ladder from kommod is a simple and at the same time highly functional solution as an alternative to the hall stand or towel rack in the corridor, bathroom or bedroom. Simply leaned against the wall, the ladder can hold scarves, towels, etc. on its five rungs without the hassle of assembly. 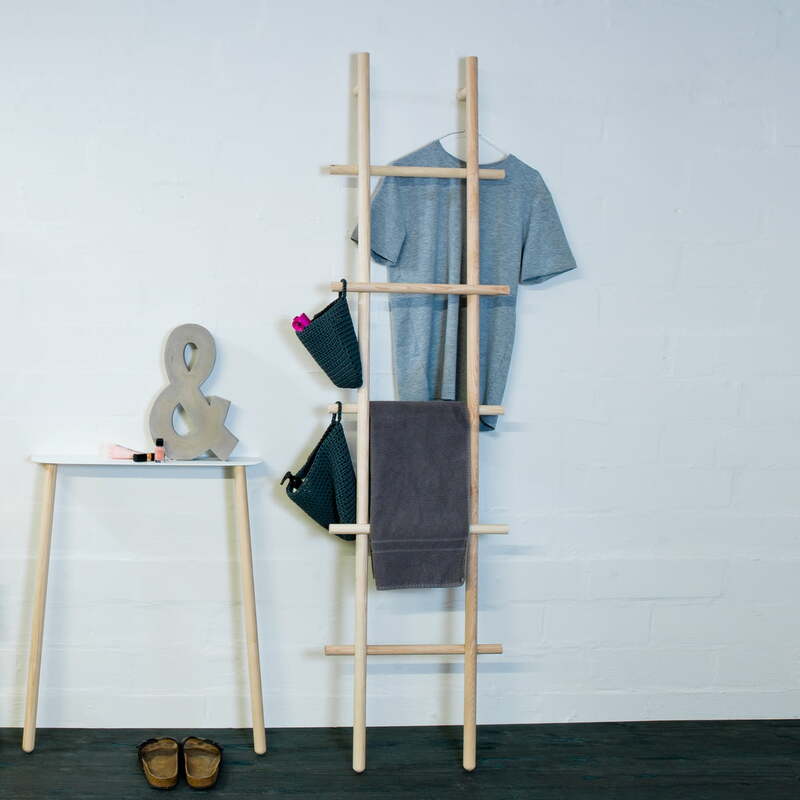 With the help of hooks and hangers (not included), the ladder can also accommodate pots, clothes, jackets and much more. 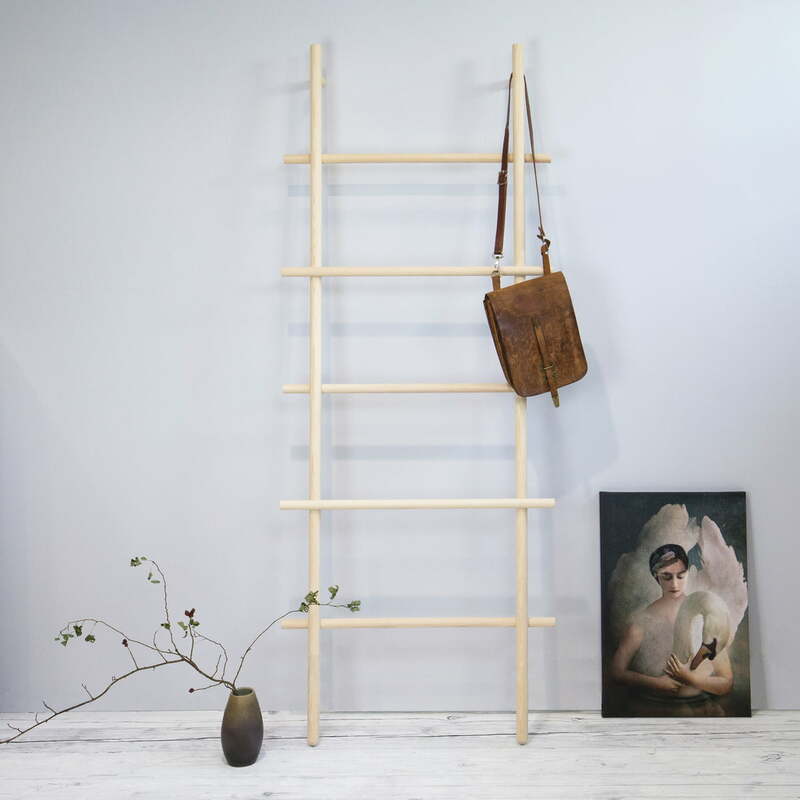 The design deliberately breaks with the tradition of classic ladder rungs - the cross bars with a smaller diameter are mounted once at the back - once at the front. The Miniloadah serves as a shelf for scarf and jacket in the entrance area, is great for towels in the bathroom and is a silent valet for trousers and shirt in the bedroom.